Last weekend, while updating Quicken, I was struck by the complexity of our finances. Care to take a guess how many bank accounts we currently have? This actually sounds more complex than it really is… The credit union account is essentially dormant, as it contains some five year CDs that don’t mature until next year. We actually bought these back in the midst of the interest rate doldrums of 2004 when PenFed was running a scorching hot 5.25% promo on five year CDs. It’s unclear what will happen to this account in the long run. The two checking accounts are the bare minimum given our current situation. And while we don’t technically need a local savings account, we like keeping a bit of cash readily accessible, and the account that we have offers a decent interest rate. Not as high as an online savings account, but solid for a brick and mortar bank. As far as the three online savings accounts go, we use one (ING Direct) for regular (longer term) savings, one (HSBC Direct) for “withholding” related to self-employment income, and the other one (Emigrant Direct) has been dormant since their rate fell below that of the competition. Amazing! Sometimes it’s tempting to sign up for affinity cards, for example to get a free airline ticket in exchange for a small annual fee. But I like your observation that Life is Too Short to spend time managing these idiotic accounts. Some times it just fits to bank at more than one bank. Among four married kids, their kids, grandparents, mortgages, checking accounts, savings accounts, automatic deposits, ATM only cards not debit cards, charge cards and bill pay we use three major banks. I have a free checking account so that I can write checks at the local stores and to pay bills. I also have an American Express card. 1 checking with the bank i work for thats for bills. 1 checking with CU required. so total i have 10 bank accounts. Oh gosh you got me thinking. Let’s see. Due to various promotions throughout the years, I have many bank accounts. Technically 14. While most of the comments focus on rate shopping that ended in opening many account, I’ve been trying to keep my banking simple as possible. I only have four accounts and find it hard to manage at time. I opened the Chase account because I get checks drawn off Chase. Because it takes so long for the funds to clear if I mail the check to HSBC, I decided to open a account with them strictly for those checks. Chase charges for EVERYTHING, which is their biggest down draw. I’m not a fan of their web online banking do I do like their mobile/Blackberry Online Banking. I’ve had HSBC for a longtime and for the most part, I like them. Everything is free/no fees, also they refund ATM/Debit Card fees if used a a Non HSBC ATM. What I don’t like about HSBC as my main account is No Local Branches (Mailing funds can take a while), no mobile online banking. Nothing to say about Wells Fargo. Pretty good bank! They hold my business account and because I had a free business checking with Wachovia, I got to keep the free business checking with Wells. Wells has got a lot of the same online features Chase has, including mobile baning/Blackberry banking app. GOT MY FIRST CHECKING AND SAVINGS AT PNC WHEN I WAS IN SCHOOL, NOW GOT MY FIRST CREDIT CARD AT PNC TOO. SCREW MONEY MANAGEMENT PROGRAMS, PNC HAS A WEB SITE TO MANAGE EVERYTHING FOR FREE. I have a lot of bank accounts. I also have several brokerage accounts. Over the past year however I have started consolidating most of my investing activities with one brokerage company. My credit unions are great because I can do business anywhere in the USA through Shared Banking (I travel a lot), and all of my the accounts are easily handled online. I keep my old fashioned bank only because they have always been good to me, I spend several months a year in that state, and I can always transfer funds for my children who have accounts there if I want to. I can’t imagine changing anything more at this point unless the benefits are no longer available. I will continue with these accounts until one day if I retire, then maybe I will drop a few. I realy dont think im the only one having 8 bank accounts. 2 checking, 3 saving and 3 credit cards. i am also planning to open up a CD with the bank i work for. a chase crdit card and a capitol one credit card. Fortunatly all my accounts come with rewards and no minimum balance to maintain. My primary checking is with a credit union, and they require me to have a savings account to go with it. My primary savings is with ING Direct. Nearly all of my other accounts are linked to ING for ease of paperless transfers. The rate drops have been ticking me off, but they do run a nice site. I have some stupid account with Bancorp that was automatically set up by my college, without my blessing. The school dumps money there (EVENTUALLY) if I take a student loan or drop a class. Then — this is the part that might be kinda dumb, but it works for me — I have accounts with each of my parents’ banks (for swapping money without mailing checks), and I have a Wachovia account. They have a store across the street from work, so I can run over and get rid of any checks that do happen to come my way. All three are crappy accounts, but I don’t require much from the banks, and they help me avoid losing checks. I agree that its not odd to have so many accounts as long as you can manage it. I mean just because you cant manage that many doesnt mean someone else can. And it also doesnt mean that our lives arent simple. I have 2 checkings and three savings. and 2 credit cards . I like that i can separate my money and know exactly what its for. Dont make sense to have your bday ,gift money vacation money, emergency fund, and spending money all in one account. That to me is asking for more confusion. I mean I am all about saving but for me its about knowing what my money is for and when I need it I have easy access to it and not have to calculate which part of this savings account is for this or that..
We have accounts with 7 different banks. Some of it is for savings, one for checking. We have accounts at credit unions that we keep token amounts of money in just to keep the accounts open so that we can tap them for low cost loans when necessary (which hopefully will never be necessary again…). I have 7 accounts I manage, all at USAA, online for me. They offer [email protected] where you scan checks to them to deposit and pending deposits are immediately available. 1 – Primary checking for everyday stuff and monthly bills. 1 – Secondary checking that I use for short term holding for bills. I get paid twice a month so I put half the rent and truck payment into the secondary from the primary. 1 – emergency fund savings account with a higher interest rate, never touch the money. 1 – long term savings account for bills. I put a little in each month for annual bills such as license plates, auto insurance, and the like. Earns me a little interest. 2 – kids savings. Half of their weekly allowance goes in there. And finally 1 – savings that we put our payments from the GI Bill in to cover our graduate costs. (mismanagement last time got me into a big student loan that took me a little bit on the Dave Ramsey Plan to pay off). Had to through the Dave Ramsey in there to rib Mr. Nickle. In addition to all of that. Yes we have the envelopes (grocery, dinning out, hair-cuts, and allowance). Other than the envelopes, I manage it all in MS Money right now until I can figure out an acceptable replacement for MS Money in Linux. I am single, no kids & have 22 bank accounts – 3 of them are checking accounts, 1 is a money market, and the rest are savings accounts. Since I don’t pay any fees and I manage all my accounts on line, it’s not a significant burden to manage. It’s like having virtual envelopes or folders stuffed with cash. For me personally, having the separate accounts keeps me from getting too excited about the balance and I can see exactly where I’m at for a particular savings goal. If I had everything in one account, I might get the idea that I can take a 14 day vacation to Europe instead of paying the property taxes. Also, all of my banking institutions let me name the accounts whatever I want, so it’s not like looking at an arbitrary account number. If I’m saving for a European Vacation, that’s what the account is called. Now, if I had paper statements coming to the house, I’d go bananas with all that paper. But the way I have it set up works for me. I think that’s really the key – find something that works for you based on your own circumstances & needs. My husband and I have 8 accounts. * Joint checking for day to day expenses and CC Debt payments. * Bills Account – The right amount of money is transferred here automatically each payday and all the bills are payed out of here automatically. * My personal savings account at a CU. Required to have the BILLS checking account there. * Joint savings account where our mortgage gets paid out of (1/2 of the mortgage gets automatically moved in here each payday). * ING Account with our emergency fund in it, money gets transferred here every payday. * ING Account with short term savings for vacations, car repairs and other unexpected expenses. Money gets transferred here once a month. * Husband’s Checking at a CU near his parents home. Often used to give money to or receive money from his parents. * Husbands super share savings account. Only gets a good interest rate at higher balances so currently just building up a savings which he uses for things he wants to buy but doesn’t want to explain to me. Wow I did not realize we had so many until I started listing them! And it was not till I was reading the comments of others that I remembered that I created a sub account at ING, which is really just a separate account. I don’t think its too many and since I have a reason for each of them I don’t see why I should get rid of any! I spend very little time monitoring any of them except the joint checking account and that is mainly just to keep an eye out for fraud. 1. Free BoA checking account. I keep a $50 balance in there just to keep the account active, but its sole purpose is just in case I need to make an ATM deposit. 2. Charles Schwab online checking – this is my active account. It pays decent interest, and reimburses ATM fees. 3. Emigrant Direct Savings – the rate is slightly below the other online banks, but after some calculations, the 3% cashback on their credit card makes up for it (I pay the full balance every month). 4. HSBC Direct – my primary savings account. I’m thinking about opening a third savings account for my property taxes, but I’m pretty comfortable budgeting it out of my regular assets. I have 4 at local banks and 5 at ING. I have a local checking account from which all my bills are drafted. I also have a so called savings account at a local bank, which I only use to hold the amount of cash that I want to use in a month and get from an atm. The interest rate is so hideous I wouldn’t actually try to save money there anyway. I have 2 so called Money Market accounts at my local banks that require $1000 minimums. One gets a draft for my mortgage, and another the draft for hopefully the last car payment I will ever have. I hate getting the service charge if they drop below 1K, and that keeps me from dipping into them, unless something happens where I really need it. With those two accounts I always know that I should at least have next month’s mortgage, or a the money for a substantial car repair or unforeseen expense. I have an ING Electric Orange account that I only use for debit card purchases. I also have 4 savings accounts there, that I use for budgeting with automatic savings plans. One is for “reserving” my monthly IRA and investment contributions. One is for saving for my wife’s educational expenses. Another one is for a Vacation fund. Another one is for buying my next car. I may open another one up for saving for Christmas. Perhaps, it is a poor reflection on my self discipline that I seem to have a need to use all these accounts to trick myself into having money. But it is working for me and I don’t think its really all that complicated. I actually feel like I’m really in control of money for the first time in my life. There is also a sweep account at my brokerage but I don’t even think about that one as such. 1 checking account: receive paycheck, disburse automatic payments, keep a couple hundred bucks for workmen who have to be paid in cash or with checks. 1 savings account because the credit union requires you to have a savings account but doesn’t pay much interest. Even if I closed two of those, I’d still have too many. There’s gotta be an easier way! This is crazy. How are you guys managing to keep things in order with so many bank accounts? I have 2 and I wish I could get that to one (if only Citibank had a branch nearby). Credit Union Checking and Savings Accts are dormant, but don’t want to give up membership. I like having a separate checking account for my monthly bills–only thing it’s used for. Another checking acct is my brick and mortar portal where the paycheck is deposited and lives for maybe 5 minutes before being transfered. ING is my day to day money source (set amount TXF’d on payday), but since I can’t find any of their ATMs I fall back on the Brick and Mortar for deposits and the occasional cash withdrawal (can’t remember when, though). One savings acct is associated with the Monthly Bills checking acct, so majority of paycheck gets deposited there, to be transfered monthly for bills. Most of my ING savings accts are dormant right now, as I work on a different savings tactic. Every account is linked to every other account, so I can move money any way I wish. None of this is a big deal, as anyone who does it knows. With Yodlee and Quicken it’s incredibly easy to keep track of everything. Of particular benefit is not having to worry about when or if payments clear, never any issue with overdrafts, and budgeting is very simple. Everything is kept separate. 2 checkings: the main one where my salary gets deposited and from where I pay my bills; and the one in credit union where I used to get my salary before I moved, but now the only thing that gets deposited there is my ESPP stock dividend. I keep it open because I like their ATM card for travel – no foreign exchange fees. Also, as I usually leave a limited amount of money there, this way if my ATM card gets stolen, they cannot take that much. Also, it is an ATM card, not a debit card, so thiefs couldn’t use it without the pin. 3 online savings – HSBC, FNBO and Citybank; one money market (a CD matured, no good place to park money and the money market had a reasonably good rate guaranteed for 6 months) and 8 CDs in three banks. I’ll probably close 2 out of 3 online savings soon: I opened them when they had 6% promotions or “free $100” offer (Citybank) but never closed. FNBO still has an OK rate, so I might keep it open. Tyler, not everyone wants to be 95% invested in stocks. I am in my late 40s, and I want a certain percentage of my assets secure. Most of my CDs were opened at reasonable rates; I managed to lock 5.5% for 2 years before the rates dropped. 3 checking accounts (mine, his, ours) and one savings account at a local bank. The joint account is a special checking account that gets 5.51% interest. 1 checking account at a national chain type bank for my husbands business. 1 checking and 1 savings account at a credit union that I had before I was married and now use it for my business account. 1 checking at a national chain for vehicle payments. Because I have gone electronic for all accounts, it is easy to keep track of everything. I really only use the joint checking and my own checking account on a regular basis. The others are for specific purposes that I use once or twice a month. It really works for us. Plus I can hide money so that we don’t spend it unless we absolutely, no other choice, have to. P.S. Rich people do have a number of accounts because the FDA only insures accounts that have a balance between $100,000 and and $250,000. depending on the type of account or ownership category. Most of their money is invested and/or in some kind of business accounts. For each business they have a checking and an investing account. I also have the CU account so that I have a brick-and-mortar place to go deposit checks. I have the ING Direct account because of the much higher interest rates, and if ING Direct allowed me to have 2 checking accounts, I would probably go ahead and close the CU account. If we want to be pedantic about it, my wife has an account at another credit union consisting of a checking and a savings account, but this is only used for her parents to send us money without mailing a check. Between joint accounts, personal accounts that my husband and I both have, and my daughter’s accounts, we have 21 that I manage. Many of those accounts (the free checking parts) have very little money in them $0-10, and I do have some vestigial accounts that I have empty just because I might do something with them at some point. But MS Money makes it easy for me to manage all that. Honestly, I support simplicity for folks who don’t have a passion for account management. Having too many accounts can cause some people to miss some details and they can get themselves in trouble. But for those of us who enjoy it, there is no reason not to have as many as you need to do what you want to do. Having multiple accounts for an individual does have one considerable advantage I think – you can save more (spend less) if you see small balances instead of one big balance (my wife feels the near-neccesity to spend frivolously when our joint account gets to a certain threshold. . .). Whenever one of our individual or joint accounts gets relatively high I redisperse money to secondary accounts (typically investment/brokerage). I have 2 checking accounts and three savings accounts. Two of the savings accounts are online and used for emergency funds. I am single, grad student. I have accounts at 2 credit unions, 9 banks and 1 discount broker. Mostly both checking and savings accounts. Managing my money between accounts is not a problem to me, actually I enjoy doing so. With such accounts combination, I can optimized my benefits, including interest earing. I found it very convenient that I can take advantage all the special feature that different banks offer. For example, I can use ING to transfer money to anyone at any bank account if I owe him money. I use WaMu’s free check, and possible low rate loan at local credit union, and high yield CD at PenFed. I also get double GEICO discount with BoA Checking account and PenFed membership. Also I can make deposit checks at a local bank. Besides, I have so many free ATM’s in the US with ATM fee reimbursement. You can never get so many features with just one or two bank accounts. I agree with Rick, It really doesnâ€™t take much extra time to deal with all these accounts. Also, I have 9 credit cards which give me almost 5% discount on every purchase I made. I have no any late payment since I always schedule payments online in advance and they gave me very high FICO score in return. 3 accounts (well technically 4). 1 – Money Market – this is our savings/emergency fund money – consistently yields a great savings rate, but I can’t write checks directlyout of it. 1 – checking account – so I can write checks out of the Money Market – get online and instantly transfer money, then write check from this account. I’ve often thought of ditching the out of state credit union, but it gives such great rates. Plus its the same credit union as my parents who we often have money exchanges with. For instance, we took a joint vacation with my parents and instead of them mailing us a check dad just deposited money in my account for what their portion of the trip would cost. Its actually more convienant this way. I’ve been doing this for 7 years and never had a problem, so I don’t think I’ll switch. Let’s see… if we count just checking/savings accounts between my husband and I, we have 9. We married after we were well established, so we use the his/hers/ours method. I have seventeen individual bank accounts. Most of those I’ve opened for various bonuses. I plan on keeping the accounts open only long enough to satisfy the requirements for receiving the bonuses, and then I’ll close them. It really doesn’t take much extra time to deal with all these accounts. I just use a spreadsheet to handle them all. Just one bank account: a checking account at Wachovia. I keep my emergency fund in Vanguard Prime Money Market Fund and the rest is invested; however, I will probably end up openning a business checking+savings account sometime in the next year. Four. One is the checking account I’ve had since college. One is a joint checking account my wife and I opened because we couldn’t get her name on my original checking account right away. Then we have two interest checking accounts–one with the same bank as the regular checking accounts, which makes it easy to move money back and forth when necessary, and one with another bank that pays a higher interest rate. We probably could get rid of one of the checking accounts but it’s not hurting anything. Sometimes we use it as a place to stash a little money short term when we’re saving for something and we don’t want to accidentally spend it. We can get to it quickly, but since it’s sitting somewhere we don’t ordinarily look, it’s difficult to accidentally misuse the money. I have three accounts and I’m considering opening a fourth. As for now, I have one checking (brick and mortar CU), one savings (same CU; emergency fund savings) and an online savings with Kirkpatrick Bank (Square Savings; long terms savings, currently 3.05%). I’m thinking of opening an ING account for short term savings goals because the sub-accounts will make saving for different things more organized. I have two, just a checking and a savings at the same bank. The savings is high yield and while it has a lower rate than ING Direct, since it’s at the same bank the transfers are instantaneous. It’s the liquidity premium I pay to not have my money be in limbo for a few days while transferring from bank to bank. Hm, I have ten bank accounts: two checking, and eight savings with four of those dormant. Two accounts. Checking and Savings. Checking is local, Savings is online. I’m a bachelor, don’t own a small business, and have no need for multiple accounts. I can definitely see the utility of having multiple savings and checking accounts however, especially when running a small business. Now ask how many credit cards I have? 7? something like that? Not even sure. I have free banking in canada with pc financial. helps me keep my stuff in order. I think too much about money? We have a checking account because we need one. We have a local savings account to keep some cash on hand, and we have an online savings account for longer term (higher yield savings). And we have an account where we hold our CDs. Aside from that, we have a business checking account because, well, we have a business. The only other account that we’re actually using is a savings account to segregate the money for our estimated tax payments. We intentionally underpay, sending in just enough to achieve safe harbor status and avoid underpayment penalties. This is par for the course for those with self-employment income and, believe me, it’s *far* less complex to set this money aside in a separate account than it is to pile it together and try to mentally keep track of it. Early in life, we too only had a single checking and savings account. But with opportunity comes complexity. I have 4 regular checking accounts, 3 of them with local banks, the last one is a high-yield rewards checking account; I also have one online savings and one online checking. As for keeping things simple, I agree that simple is good for most people. Not for me however, as I have earned $$$ for opening certain accounts. I know exactly when I will use those accounts. As for the rich having things simplified, obviously Tyler is not rich, so he only spreads rumors about what the rich are said to be doing. The Rich know the value of the dollar, and they are willing to open 100 accounts, just to get one hundredth of a percentage point more interest/income that the next guy/gal. I have many accounts more for budgeting purposes than hoping to get more money. It allows me to do an electronic version of the envelope budgeting system. I love it because it is all automatic and I easily track where my money is going and see how much is left. It’s so dumb to have that many accounts. I’ve heard that the rich only have one or two accounts. They make it simple on themselves and their wallet. 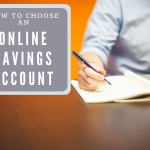 Stop rate chasing and get your online savings accounts down to one. I have one for checking (local bank) and one online for savings. That’s it and I LOVE IT! Less mail, less to worry about, and less to follow in MS Money. You think too much about money nickel. Make your life simple and get a system in place. Forget about the other nonsense. If you really want to make money, do you think having more than 1 online savings is actually going to make that happen? Don’t think so. Spend less than you earn, invest the rest (or save). You’re ahead of 95% of the people out there. Two checking with a local credit union, one for bills and one for spending. The credit union has absolutely lousy service, long lines and rude tellers, but it is the only bank in town that credits deposits as soon as you put them in, regardless of time of day. We banked with two other brick and mortar local banks and sometimes it would take 2-3 days for a deposit to post. We got royally screwed on a couple of bills because of this. One more checking account online with a bank that is affiliated with the insurance company I used to work for. All my income from that job went there, but I plan on closing the account soon. It is kind of superfluous at this point. And finally, I just started my emergency savings account with ING Direct. I’m a little over halfway there and should complete it with the Uncle Sam check. Then, on to the credit cards!